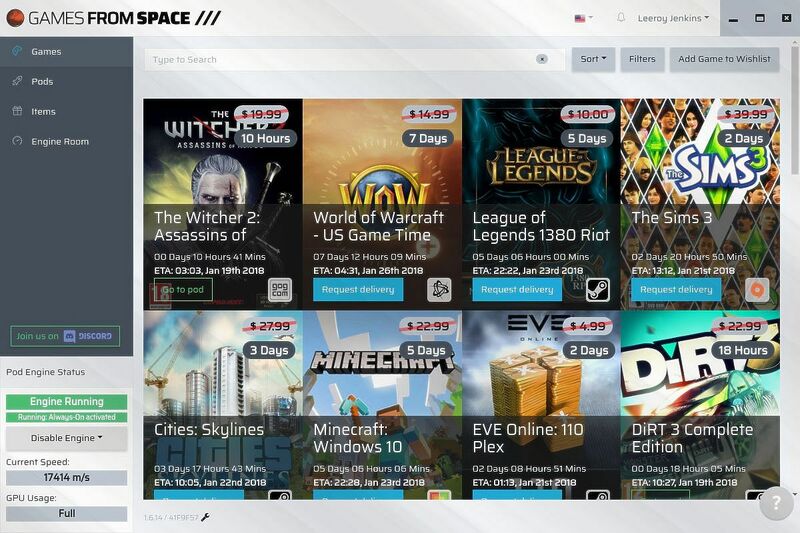 German company Pythonic Media GmbH shared more information today about Games From Space, their application for Windows PC which lets users loan their GPUs to get free PC games. Below you can find an excerpt from the press release. “Games from Space” offers an unprecedented opportunity to get new games and gadgets. With a simple software we use the performance of graphics cards for complex computing tasks and pay the temporary loan of graphical processing power with pre-selected games. The user is not restricted in the daily use of his computer, even while working on the computer, streaming or watching Youtube, the graphics card can run separately. If the user starts to play a game that uses the power of their graphics card, our software automatically shuts down. In times when the computer is idle, the graphics card can provide the best performance. Earning a game usually takes not more than two weeks (depending on the game and performance of the graphics card). The stronger the model of the graphics card, the faster a game can be worked out. Once you get enough Space Coins for the particular game, a code for downloading the game for a popular online provider appears in the user’s dashboard. The complete installation of the program, the setup and the start of the process for the first game, is done in a few seconds and clicks. The official website includes more information: here you can find a list of PC games you can get via Games from Space as well as the estimated time it would take you to unlock them with a GTX 1070 graphics card. Overclocking the GPU will obviously speed up the process, though the official FAQ doesn’t recommend doing so as it will reduce the lifetime of your GPU. The application’s usage of the GPU can also be tweaked so that it’s minimized when you’re playing a game and it gets back to full speed upon exiting the game. Are you going to try this new approach to cryptomining for games? Let us know in the comments.